In partnership with Liber Research Community. This is misleading, says Brian Wong, a member of the think-tank Liber Research Community, which focuses on urban planning and land use, among other local issues. 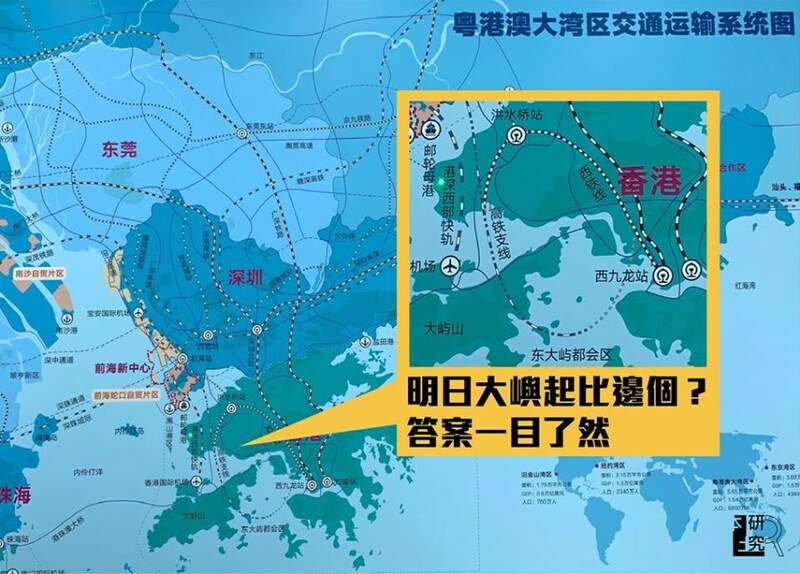 Last month, the group revealed that Qianhai authorities had planned to extend the cross-border high-speed rail to the artificial island, unbeknownst to Hong Kong. A few days later the Secretary of Development Michael Wong said he had only learnt about the plan after reading media reports on it. The ensuing furore led Wong to further question the government’s motives behind the mega reclamation project. High-speed rail extension from Xili station in Shenzhen to East Lantau Metropolis. Photo: Liber Research Community. 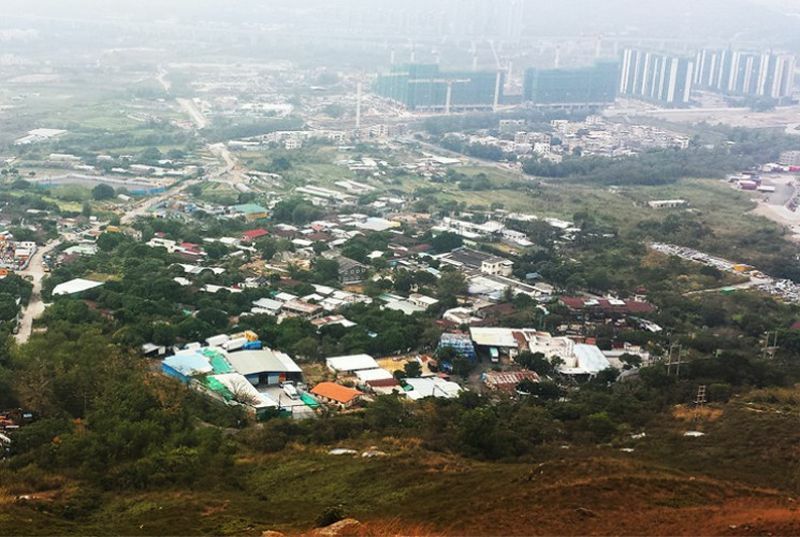 The government has touted the ELM under its Lantau Tomorrow Vision plan as capable of providing a developable area of around 1,000 hectares, populated by 400,000 to 700,000 residents and supporting at least 200,000 jobs. “The Vision spanning two to three decades has proposed various land supply initiatives to greatly increase land supply thereby alleviating the acute shortage of land in the medium-to-long term,” a paper from a Panel on Development’s meeting last Tuesday read. It added that the project will provide a new transport network and economic development to the area. The first phase of reclamation is expected to start in 2025, with the first resident intake in 2032. But Wong says that the creation of a high-speed rail link between the artificial island and mainland China, which local authorities have denied any prior knowledge of, throws the original stated purpose into question. A principal selling point of the ELM was that it was to cater to the public need, with 70 per cent of its residential units reserved for public housing, according to the government. Wong said that the high-speed rail extension would contradict this stated intent by incorporating the megaproject into a regional rather than local planning strategy. He gestures to other large-scale projects such as the Guangzhou-Shenzhen-Hong Kong Express Rail Link, completed last September, and the Hong Kong-Macau-Zhuhai bridge, completed last February, which he said were carried out at the behest of the central government. Brian Wong. Photo: Jennifer Creery/HKFP. However, an article reposted on a Shenzhen government website in February said that an express railway from Xili high-speed train station in Shenzhen to the ELM “will be built” – a statement that Wong said could be read as an endorsement from Beijing. Kau Yi Chau Artificial Islands – reclamation (HK$140 billion), infrastructure (HK$116 billion). Sunny Bay reclamation, Lung Kwu Tan reclamation, and Tuen Mun coastal area development including River Trade Terminal – reclamation (HK$34 billion), infrastructure (HK$61 billion). Kau Yi Chau to Hong Kong Island Corridor (road) – HK$55 billion. Kau Yi Chau to Hong Kong Island Corridor (rail) – HK$38 billion. 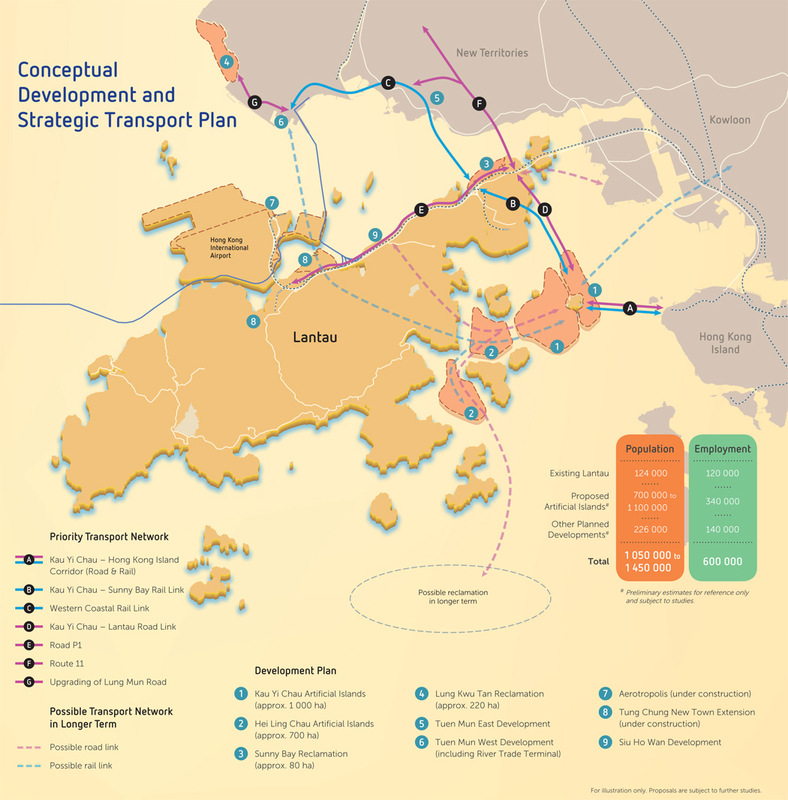 Kau Yi Chau to Lantau Road Link – HK$19 billion. Kau Yi Chau to Sunny Bay Rail Link – HK$52 billion. Western Coastal Rail Link – HK$82 billion. Road P1 and upgrading of Lung Mun Road – HK$27 billion. 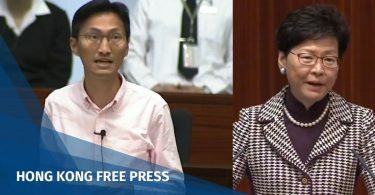 He added that the HK$624 billion price tag has not taken into account inflation in the 2030s, the 700-hectare phase two reclamation at Hei Ling Chau, expected cost overruns arising from potential mismanagement, a shortage of sea sand and labour, nor the rail link proposed by Qianhai authorities. A brownfield site. Photo: Bauhinia Foundation Research Centre. Wong points to cheaper and quicker alternatives to land reclamation, such as developing brownfield sites, of which there were 1,521 hectares as of the end of 2017, according to a report from Liber Research Community published last year. These sites are vacant lots of agricultural land previously used for commercial or industrial purposes. 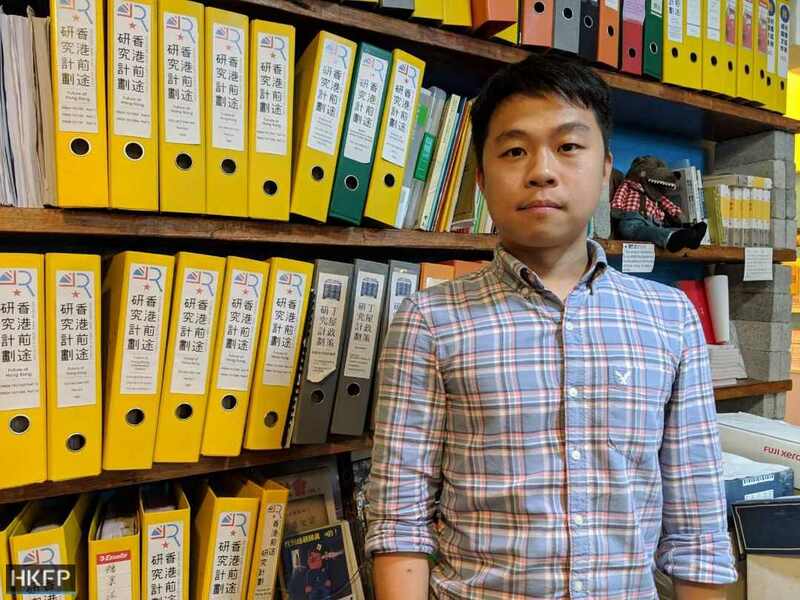 A spokesperson for the Civil Engineering and Development Department told HKFP that a government-appointed task force carried out a five-month public engagement exercise between April and September last year, where 18 land supply options – including the development of the ELM – were put forward. In the report published last December, the Task Force on Land Supply outlined the ELM as one of eight recommended land supply options, with 60 per cent of respondents reportedly voicing support for the proposal. However, Liber Research Community has criticised the public consultation document and questionnaire for failing to disclose the cost estimate: “The public was not given adequate and relevant information to make an informed opinion during the consultation,” Wong said, adding that the public has the right to know which financial models the government will pursue, such as a public-private partnership, in the development of the ELM. 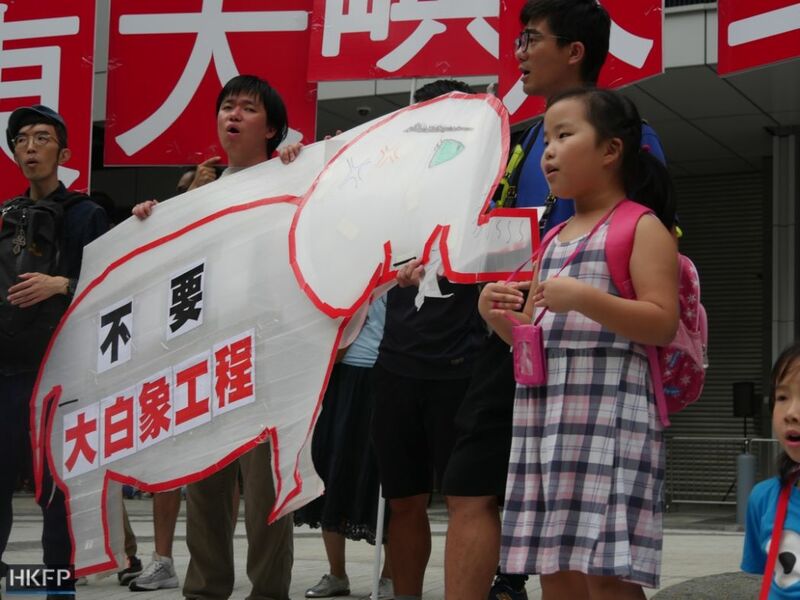 After Chief Executive Carrie Lam announced the ELM in her Policy Address last October, thousands took to the streets to protest the “white elephant” proposal, claiming that it would damage the environment and line the pockets of developers. 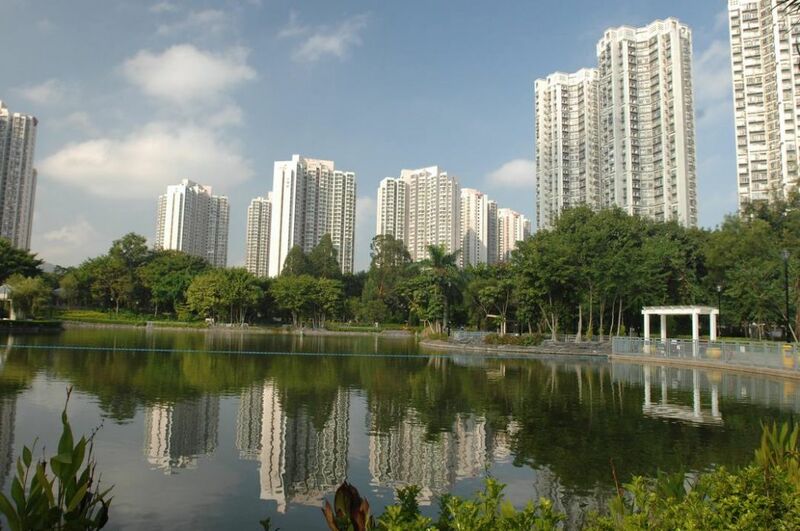 Wong warned that the ELM could bear the ominous hallmarks of Tin Shui Wai – a public-private partnership project built by a consortium on reclaimed land in the 1980s. He said the project was reduced to a lacklustre money grab for wealthy developers, contributing to the area’s current low employment and high poverty rates. “There [are] inherently a lot of problems about the idea of public-private partnerships when it comes to public planning projects, so if the government is going to build a lot of public housing in the middle of nowhere in the ELM, and that place would be dominated, monopolised by property developer’s interests, because they have contributed their share when building the island, will it be another Tin Shui Wai, or worse?” Wong said. He also, however, provided a 1970s reclamation project in Sha Tin as an example of a “relatively fair” public-private partnership deal, whereby purchasers were required to reclaim 58.6 hectares of land from the sea, and could keep only 40 acres in what is now City One. All while paying the government HK$20.6 million for a land premium in return for development rights at the lot. 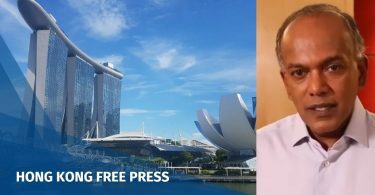 Whether either approach is to be adopted or rejected remains to be seen, but Wong warns that if the government wishes to alleviate the public purse by inviting private developers in, it may come at a steep price. “They will not work everything for you for free, so it would directly contradict the purpose of providing affordable housing and enough amenities for the future residents. The government is actually faced with a dilemma, it cannot be solved,” he explained. In the preliminary concept for the ELM, the government boasted the artificial island would form a new core business district, providing a hub for innovation and technology businesses whose profits would supposedly feed back into the local economy.